Intended for mounting on etched 'rocking' W-irons. 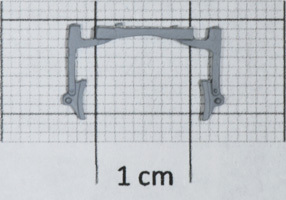 Designed for P4 use, they require a small amount of packing to align with OO wheelsets. Pack of 12.